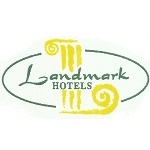 Landmark Tours & Travels also owns Landmark Hotel that is located at Dr. B Barooah Road, Guwahati-81 007. Landmark Hotel is the flagship brand of the Group, with 49 well appointed rooms, across four categories of deluxe, luxury, suites and pent suites. All rooms at Landmark Hotel are air conditioned with en suite toilets and have 24 hour generator back-up. Furthermore, basic amenities such as hot/cold water, color TV, telephone with direct dial, mini bar and Wi-Fi are easily available. Also, there are five air-conditioned conference halls with advance infrastructure to arrange for meeting, conferences at small as well as larger level. The halls can accommodate 20 to 1500 guests. Moreover, tourists can also get facilities such as yellow table, multi-specialty restaurants, halls for celebrations, outdoor restaurants, piano bar, cigar room, hair and beauty studio managed by Habibâ��s trained personnel, a business centre and a travel desk.